Achievement(s): You Leave Me With No Choice!, Underrated (Crawdaunt), Tourist (Exeggutor), Attack! Attack! Attack! Where He At Doe?, Underrated (Entei) and You Leave Me With No Choice! Achievements: Where He At Doe?, Tourist, Mind Over Matter. Achievements: You Leave Me With No Choice, Underrated (Alolan Raichu, Scyther and Scizor), Attack! Attack! Attack!, Quick Finisher, Running Away From a Fight. Achievements: Preservation, Greed Pays Off Sometimes. Achievements: Super Underrated, The Fource is Strong With This One, Heathen. Achievement: Let the Storm Rage On! Achievement: Malcolm in the Middle. Achievements: Olympus Mons, Clap Your Hands If You Believe. Achievements: Underrated and Underappreciated, For the Little Guys, Stats Don't Mean Nothing. Achievements: Raining Cats and Dogs, Technically Monotype. Achievements: I am the E.G.G.M.A.N., Hoist By His Own Petard. Achievements: Gotta Go Fast!, American Allies. Achievement: Dragons Are A Type Of Terrain. Achievement: Not the Real Me, Vacationer. Achievements: Featherweights, All-Star Cast, Mew and Friends. Achievement: Talk to the Fist. Achievements: Dishing Out Dirt, Making a Splash. Achievement: Our Dragons Are Really Weird. Achievement: Playground Posse, Easily Entertained. Replays: All of the monotype replays on this post. Achievements: Getting Somewhere, 50 Cent, Dedicated. Yes, Antonio4294967296 is my alt. With all these achievements, I think I qualify for Achievement Enthusiast, Achievement Expert, Hall of Fame and Monotype Master. Also if no one's going to update this I'll gladly take it over. Low ladder is 1650 and "up and coming" is 1400? That's setting the bar really high, IMHO. The OU ladder has gotten super inflated over the generation. Right now the top 10 players sit at or above 2100 ELO and the entire top 500 is above 1730, so 1650 for a silver achievement really isn't too much imo. The name "leaving low ladder" is maybe a bit misleading, but that's just what they happened to choose when they started this thread like 2 gens ago. The silver achievement is what actually counts. 1650 is solid mid-ladder and any 1400 player most likely knows what he's doing. Yeah, but it's just really disheartening for me when I've only ever broken 1300 once. Almost like I shouldn't bother trying because everyone else is so far ahead. I don't even know what I need to ask for help with. I just know I'm not good enough to even think about making my own teams. 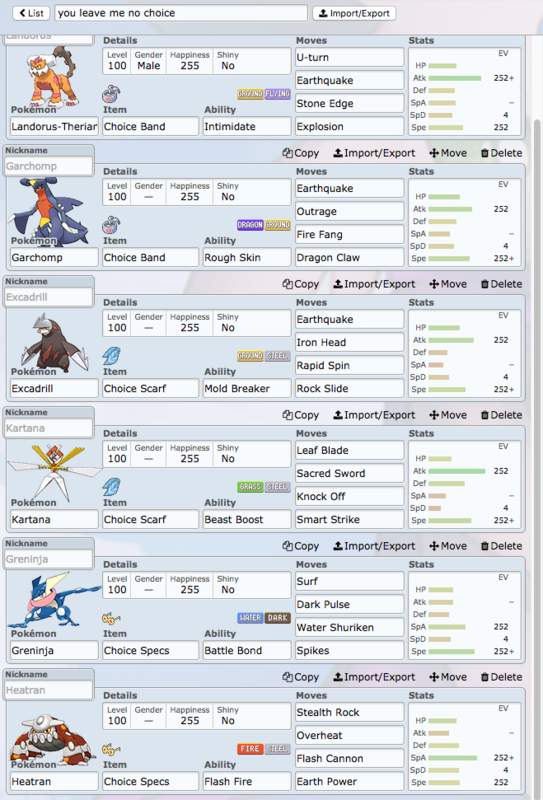 I can only speak from my own experience (and I don't consider myself an autority or anything), but when I started playing competitive 'mons like 7 years ago, I just played a lot of random battles and generally didn't know anything about teambuilding or any of that stuff. Watching replays helps a lot imo, especially of your own battles so you can figure out why you won/lost. 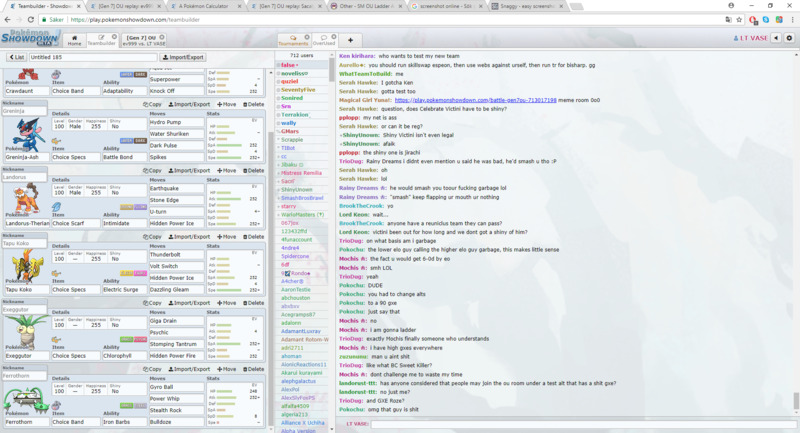 Smogon also has a lot of great resources like articles on win conditions and battle plans, or the roles different 'mons can perform on a team. And to succeed in a certain meta or tier, it's important to have some knowledge of the game you're playing (what are popular 'mons, what are their roles, speed tiers, ...), which generally means just playing a lot until you get a feel for it. I guess that's the most important one: just keep on playing a lot and you'll get better eventually. Achievement(s): Where He At Doe? Pretty sure I unlocked some more archievments just with this and my previous post in this thread. Achievement(s): You Leave Me With No Choice!